I’m going to admit it straight away, I have a passion for fashion! There’s nothing that I love more than finding beautiful clothes that make me feel great. While I have plenty of affordable stuff from the high street, I really love splashing out on designer ranges, especially the ones that I can find in the local department stores. 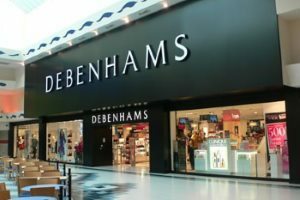 Debenhams and House of Fraser are my go-to stores when it comes to finding affordable on-the-high-street designer wear. Yes, they may be a little more expensive than the clothes that you’d find in Primark, but the quality is so much better. The cut is more flattering (and forgiving), and their durability is so much better. If I buy a dress from Primark, I can guarantee that it won’t be worth wearing in a year’s time, while if I buy a dress from the John Rocha range, I can be confident that it will wear just as well in two, three or four years’ time as it will on the day it’s purchased. Some people think that it’s snobby of me to buy clothes from designer ranges, but I’d rather invest in statement pieces from a quality well-designed range than buy lots of new clothes every season from a cheap store that has shady ethical values and which doesn’t make clothes that last. Some of the women I know spend a lot more than me on clothing because they’re always having to replace worn out tops and out of fashion skirts that they bought from cheap shops. Yes, I may spend a little more on each individual item, but I have pieces in my wardrobe that date back to before Spencer was born and I’ve worn them time and again. When it comes to dressing my children, I have the same principles. I like to buy quality clothes that look good and that are made well, and I want the same for my kids. I don’t believe in trying to make my children look the height of fashion. It always makes me feel a little queasy when I see pre-teens wandering around in mini skirts and crop tops, and toddlers stumbling around in kitten heels. I’ve had other Mums question why I choose designer ranges for my children’s clothing, and I do take on board what they’re saying. Yes, it may seem silly to buy a designer dress for a toddler who will grow out of it in a few months, however if you add up all the times that she can wear that dress in those few months without it falling apart or fading, I think I’m getting better value for money than the Mum who goes to a discount store and buys a dress for her daughter that falls apart, fades and frays after a few times of going through the wash. Even better, I can give the children’s old clothes to charity once they don’t fit any more, and know that they will help someone worse off than them. My favourite children’s clothing ranges on the high street are J by Jasper Conran and John Rocha at Debenhams. Their clothes are beautifully made, are classic designs and last really well. I still have some of Spencer and Jessica’s old clothes that I can use for the new baby, and I can guarantee they’ll still look good several years after they were bought because they’re traditional and high quality. My favourite online ranges are Vertbaudet and Mini Boden. Both are really stylish and offer something just a little bit unique. Using quality materials and timeless styles, they’re also really comfortable to wear so children can easily play and do all the things that children do without needing to worry about their clothes restricting them, or damaging their outfit. Before I’m shot down in flames about the cost of these clothes, I would point out that the prices aren’t much higher than the average high street price, and the quality means that they’ll last longer. Also, it you wait until the sales, you can get amazing bargains for pretty much the same price as clothing from the local supermarket. If the prices are still high, check out eBay – you’ll be amazed at the second hand designer bargains you can find! Next time you go shopping for children’s clothes, just check out these ranges. I bet you’ll be surprised at the bargains!